Consider this…unless the bygone planting is in the front yard…who’ll see it? It’s dark! True, disposing of disintegrating perennials and raking up leaves in flowerbeds does eliminate some slug hideouts. They’re still overwintering, they just have fewer places to hide. But removing those hideouts, the growing season’s stems and leaves, winter’s natural insulation is also removed. 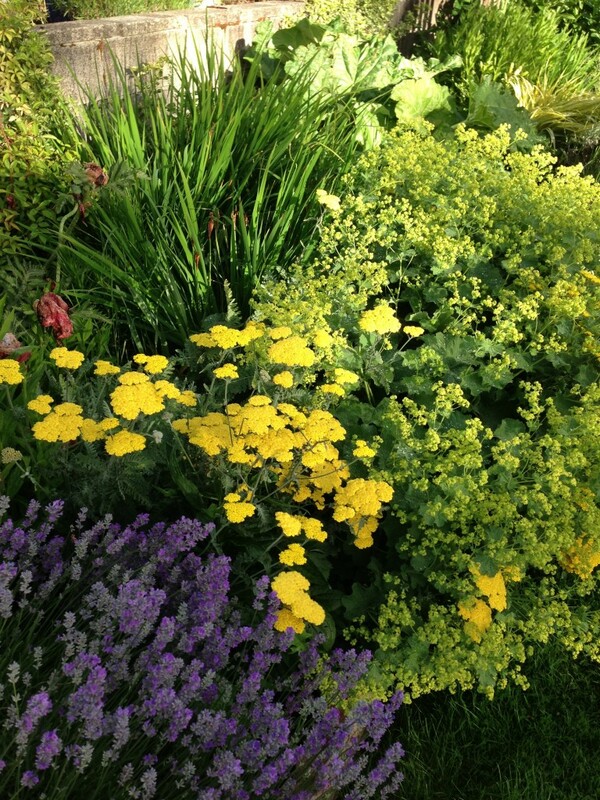 Crowns of perennials can be exposed to the elements. And just that little bit of cleanup can expose borderline hardy plants enough to kill them. Removing the natural insulation before winter is also much more time consuming since stems are likely still attached even if they have quit growing. Waiting until late winter or early spring makes cleanup a breeze. It takes a fraction of the time. Just be gentle around the green spikes of spring bulbs. Less time, lower maintenance. When October bulb-planting time rolls around (you know, rainy and cold) there is no shortage of tulips (common name “deer food”) and daffodils. ‘Lips and Daffs are much loved and much grown in the South Sound but it’s always fun to add something new. Get to know some alliums (common name ‘ornamental onions’ but who’d buy that?) Since alliums are in the onion family, “most” deer and squirrels steer clear. Alliums are known as “deer resistant”. (Ask anybody with a deer problem and they’ll tell you that “deer proof” is a big joke). So, try a few of the beautiful alliums instead of the same old tulips and daffodils. Alliums come in all sizes and are among the most carefree bulbs to grow. Allium come short in shades of yellow, pink and white or tall in shades of pink, purple and lavender. The most impressive alliums are the big ones. They look like gigantic purple Tootsie Roll Pops. 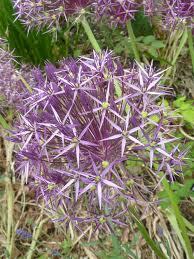 The largest and earliest is Allium christophii (Star of Persia). The stem is 1-2 feet tall and the lavender fireworks-like flower can be 20” in diameter. Unbelievable! Allium giganteum globemaster is up to 4 feet tall with flowers 6” in diameter and blooms in mid to late spring. Allium aflatunense ‘purple sensation’ is 3’ tall with 4” flowers and blooms in late to early summer. These three alliums are the easiest to find. Because of their size, you don’t need dozens to make a statement. One bulb per square foot is plenty. Stagger-plant them among perennials so when the perennials are in that not-quite-ready-to-bloom stage you still have plenty of color. The late British plantsman, Christopher Lloyd (1921-2006), is probably the most widely read garden writer in modern history. His book, “The Well-Tempered Garden”, is a book he wrote more than 40 years ago and is still considered a gardening “bible” by today’s most avid gardeners. It’s not easy to write a best selling gardening book with such longevity, especially one without pictures…one that not only holds your attention but also makes you smile at any page you open. Each page teaches and tickles. Lloyd’s wryly-delivered gardening advice is not outdated. Far from it. His information is the kind that doesn’t change with time and the opinions he offers are backed up with a lifetime of gardening experience. “The Well Tempered Garden” is in its fourth printing and deserves a permanent place in any South Sound gardener’s library, right next to the Sunset Western Garden Book.